If you are looking for a more youthful look but want a treatment without surgery, with minimal risks and maximum aesthetic results, you have come to the right place! At the Holistic Bio Spa, our goal is to help you feel beautiful and we have the tools to enhance your beauty with non-invasive methods. Today, we will share our holistic method for wrinkle fillers: hyaluronic acid. This article will explain the benefits of hyaluronic acid in the skin, why it is safe to use it, and in what areas of your body it can be used. What makes hyaluronic acid the best option for wrinkle fillers? Hyaluronic acid is a natural occurring substance found in tissues and organs of our body, such as the connective tissue that supports the spine, cartilage and/or our skin. Over the years, the presence of this natural substance diminishes, causing the oh-so-dreaded wrinkles, flaccidity and loss of firmness. And nobody likes that! The main characteristic of hyaluronic acid is that it attracts and retains water in the organic tissue. This allows the skin to be rehydrated in-depth so that the treated area looks smoother by reducing furrows and small wrinkles. In short, hyaluronic acid re-infuses youth into your skin where you need it most! 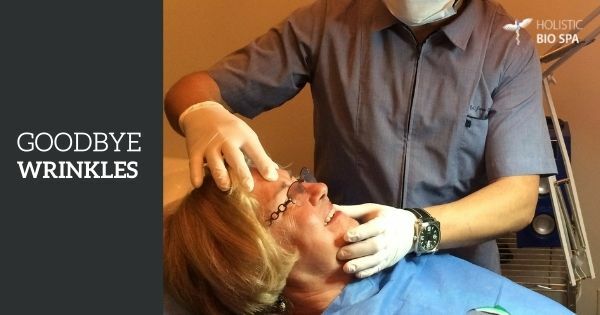 What areas are usually treated with wrinkle fillers? Contour and outlines of the lips. Lip and facial volume (cheekbones). Lip or perioral wrinkles (around the mouth). Nasogenic furrows (expression lines that go from both sides of the nose to the mouth). External periocular wrinkles (crow’s feet). Many women dread a traditional facelift for various reasons: the costs, the painful side-effects, fear of malpractice, and so on. That is why we have chosen to focus on a natural substance in the human body (hyaluronic acid) that does not cause rejection and thereby minimizes side effects. 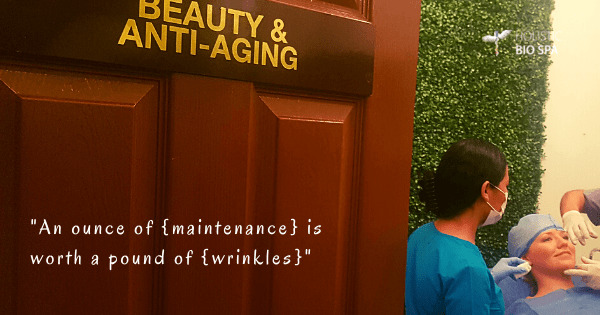 Why not give your skin the maintenance it deserves to maintain your beauty and self-esteem? and contributes in an efficient way to erase wrinkles! Dr. Juan Ortega is an experienced certified plastic surgeon in Puerto Vallarta who works with us here at the Holistic Bio Spa. Among his many known credentials, he has also studied abroad to learn the most innovative, safe, and holistic techniques for his patients. Are you ready to be the healthiest, most beautiful version of yourself? Call us to make your appointment ? +52 (322) 221 1607 and pamper yourself with the best natural and holistic methods. Not currently living in Puerto Vallarta? Share this article with your sister, mom, or friend. Come and enjoy a beautiful relaxing vacation and go home with a new look! 2 Responses to "Wrinkle Fillers: The Best Holistic Non-invasive Beauty Method"
We will give Alicia your message.